And it’s about as dark and stealthy as you’d expect. No gameplay here, just eye-candy – and one notable difference. Stephen Russell won’t be reprising his role as the voice of Garrett, and fans of the Thief franchise are already up in arms about it – sound familiar? Drama aside, it’s great to see Thief returning, whatever form this numberless game takes. “No one knows ‘Human Revolution’ like the team that created it, and we look forward to working with them from day one to make a film adaptation worthy of the ‘Deus Ex’ name. Let’s hope that’s what we get. Adrian Askarieh’s name has already been linked to the project, which would make it the third game-based film he’s associated with (the others being Hitman – yes, I know – and the upcoming Kane & Lynch adaptation). A little snooping revealed that CBS Films are the guys behind Salmon Fishing in the Yemen, The Women in Black and…The Mechanic. Starring Jason Statham. Worryingly, further investigation turns up the fact that Dwayne Johnson, Jennifer Lopez and some woman from High School Musical have all starred in (fairly) recent CBS Films productions. Gulp. You know what? 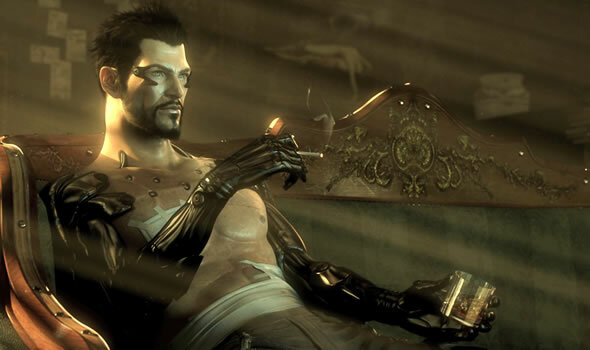 Even if the worst happens – even if, say, we get Arnold Schwarzenegger as Adam Jensen (I never asked for zis!) – the film can be salvaged with the help of one little YouTube video, which I’ve embedded after the break.